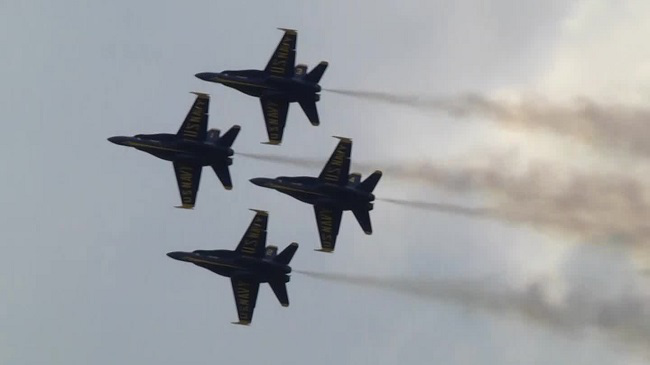 NAS PENSACOLA (WKRG) – The Blue Angels are back in business! low-key practices, the team invited their fans to watch them practice on board NAS Pensacola Monday. Kuss was killed in a crash in Tennessee. Despite the rain and the short notice of the open practice, about 2,000 Blues fans watched Monday’s practice. the flight line which is located behind the museum.